While the debate about the value of Instagram and its ‘Instagrammers’ goes on, many brands continue to reach out to influencers. 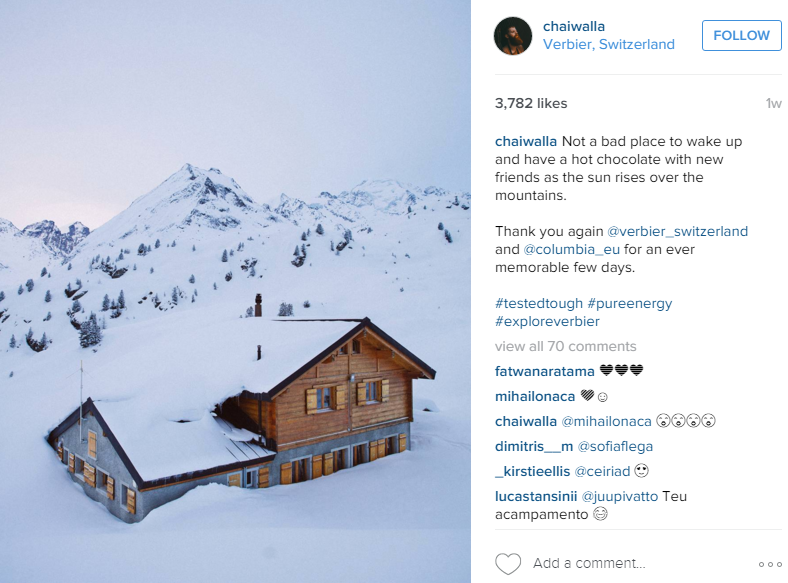 The Swiss ski resort of Verbier has recently run an innovative promotion. The resort invited five influential Instagrammers from three countries for a special ‘Insta Expedition’. Organised in partnership with Columbia clothing, the five were asked to join a mountain expedition accompanied by a mountain guide and give them the opportunity to create ‘exceptional photos’. 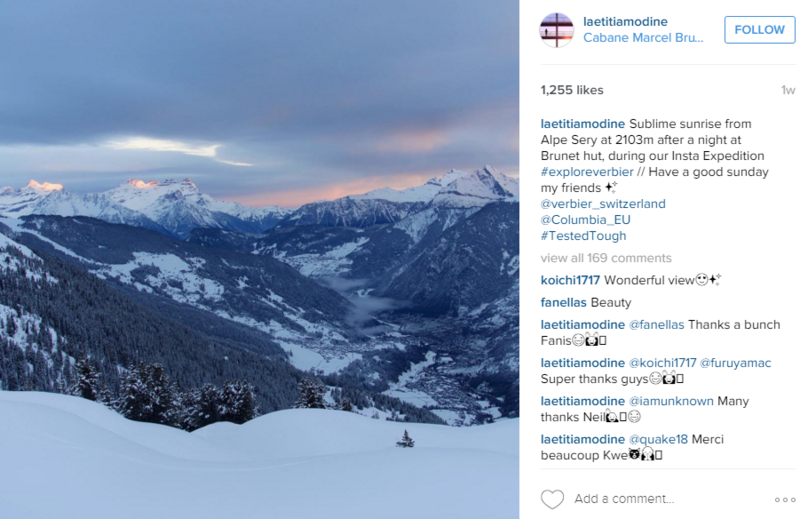 The two Swiss, two French and one English social networkers have a combined fan-base of around 500,000 followers. Accompanied by the mountain guide, photographer and writer François Perraudin, the group took part in a ‘photographic expedition’ that took them from the bottom of the Bagnes valley to the summit of Mont-Fort, staying in refuges and mountain huts. 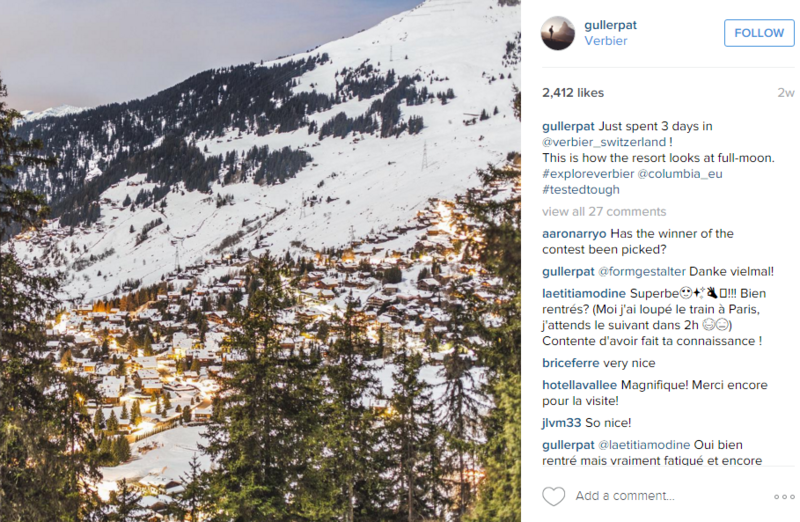 Verbier has been working on raising their social profile across this winter, following a report by Valais Tourism that showed Verbier lagging behind international competitors on Facebook and Instagram. The Verbier page on Instagram has 8400 followers at the time of writing, so some way to catch up with the leading European resort of Val Thorens, which has 33,800 followers. 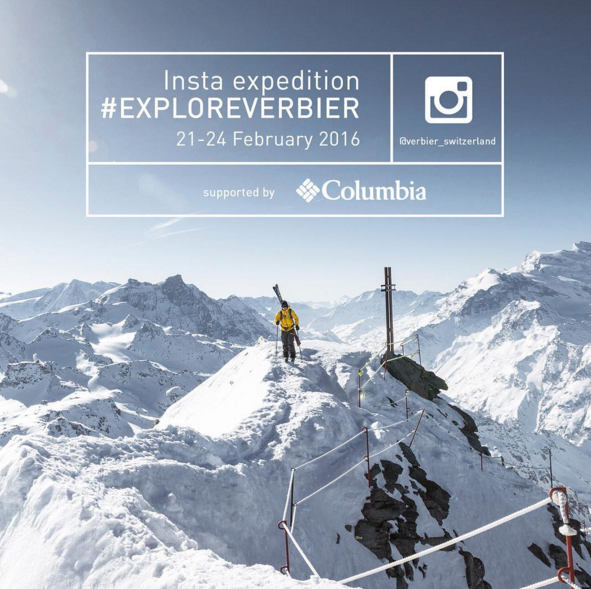 You can see the results of the expedition by searching for the #ExploreVerbier and #PureEnergy on Instagram. We found it interesting that most of the Instagrammers posted only two or three photos before moving on to their next assignment. 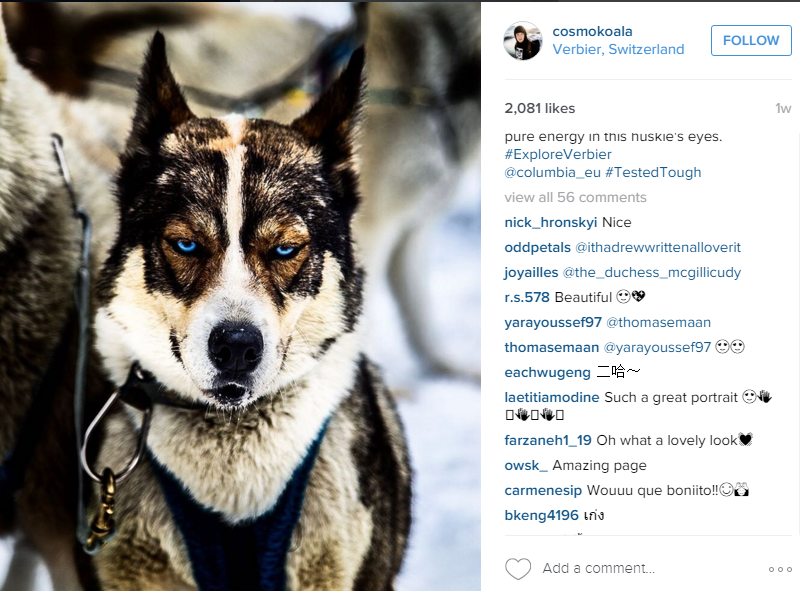 No photos gained more than 4000 ‘Likes’ – although this does represent an extremely good level of engagement. Whether that represents a positive ROI only the resort will know, but certainly Verbier should be applauded for the innovation and imagination behind this campaign, even if the reach might appear disappointing.